Destined to become an icon of the Cleveland skyline, The Lumen will add to the distinct identity of the Playhouse Square District in 2020. Donley’s Concrete Group started its work for Gilbane Building Company on The Lumen project in the Fall of 2018. 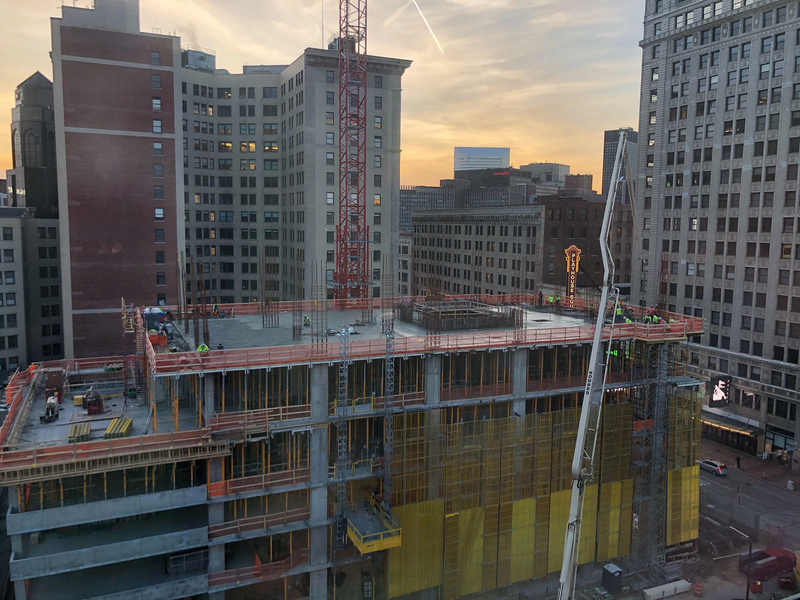 Situated on a one-acre site at the corner of Euclid Avenue and East 17th Street – replacing the parking lot across from the Connor Palace – the 34-story tower will host 318 apartments, 550 parking spaces and 22,000 square feet for resident amenities. Below is a time lapse from the first pour. Click Here to view more time lapses of this project. Donley’s Concrete Group is pleased to be working with Rycon Construction on the The Glass House. The project is a residential building in Station Square, Pittsburgh. 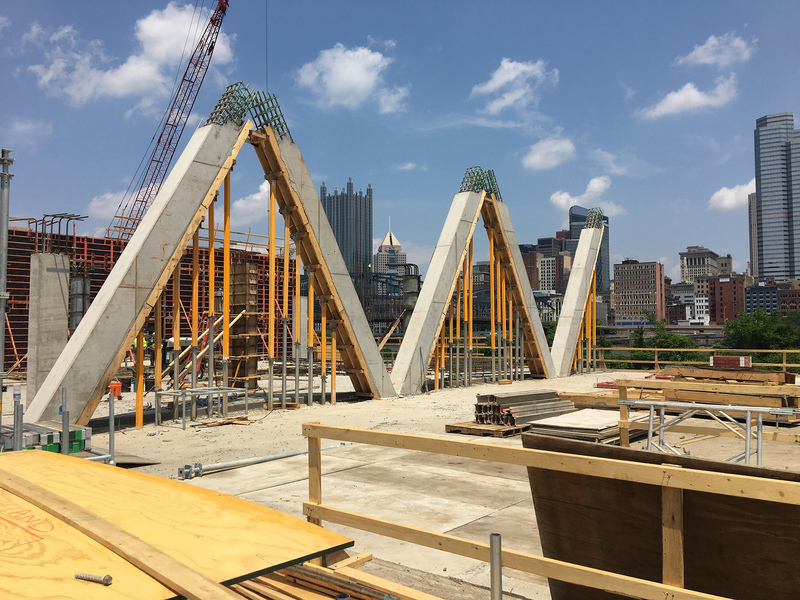 Glasshouse will be located on the former site of Pittsburgh’s historic glass-making factories, on the bank of the Monongahela River, overlooking the city’s central business district. 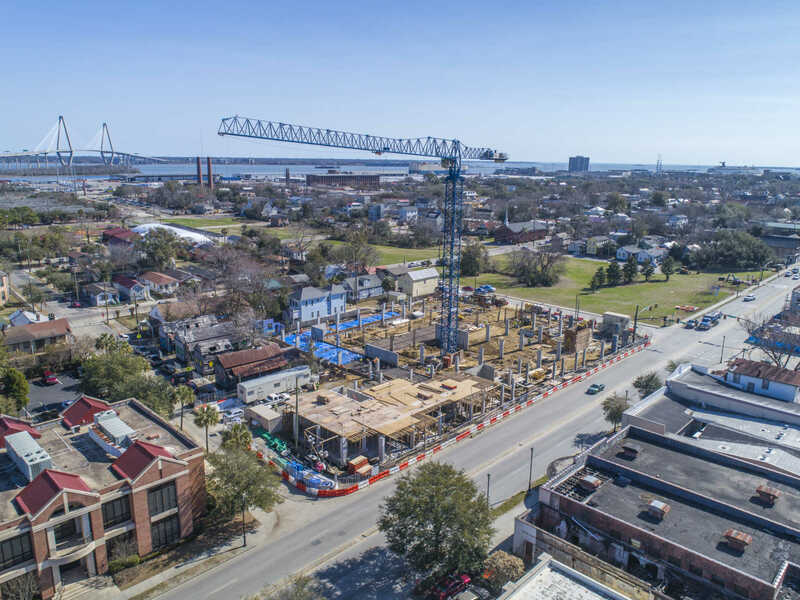 The community is scheduled to provide 319 residential units, including studio, one-, one+den and two-bedroom apartments, ranging in size between 665 and 1,200 square feet. Ground-floor retail and 335 indoor parking spaces broaden the variety of facilities on the property. 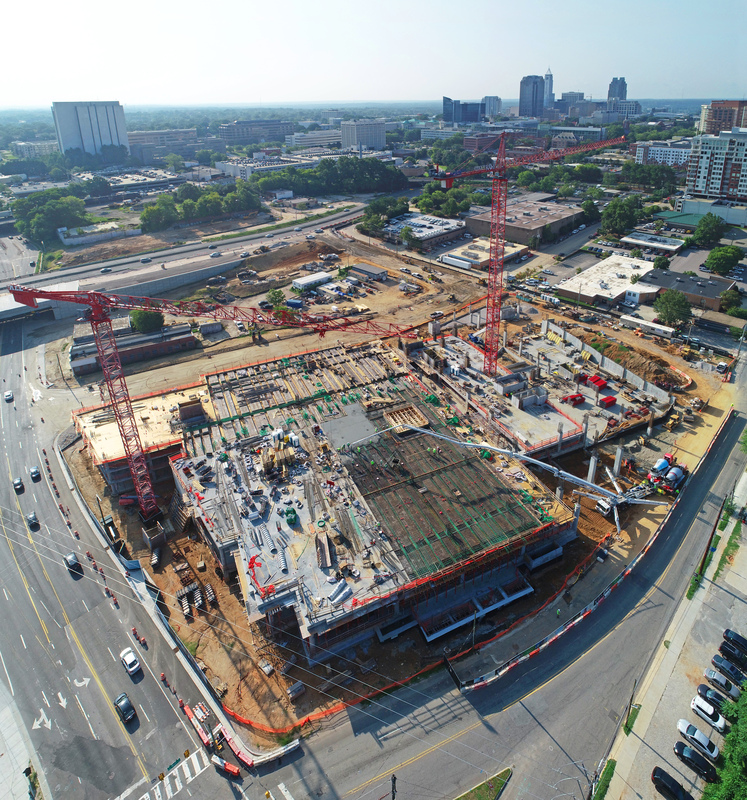 Donley’s was hired by Clancy & Theys Construction to provide concrete service for the Peace Development in downtown Raleigh. Located in the old Smokey Hollow neighborhood in downtown Raleigh, this development is a 11-story, urban, mixed-use project anchored by a 45,600 sq ft Publix grocery store. This will be Downtown Raleigh’s first grocery store. Above the grocer, this concrete structure will include 417 units of residential apartments with a mix of studio, one-, two- and three-bedroom units averaging 898 sq ft. The project will also have 5,340 sq ft of additional retail and office space, an 83,000 sq ft parking garage underneath the grocer, and a 7-level, 206,000 sq ft post-tensioned parking deck. 530 Meeting Street is an approximately 200,000 square foot mid-rise student oriented apartment project located in the Upper King district. The project will boast 5 levels of residences, onsite parking and over and 6,000 square feet of amenity space. Building amenities will include a large pool and courtyard, bike storage, state of the art gym and conference rooms. DCG is providing cast in place concrete foundations, underground water detention vault, slab on grade and 1 level structural concrete podium. Expected to be completed by May 2019. The 305,672 sq. ft. 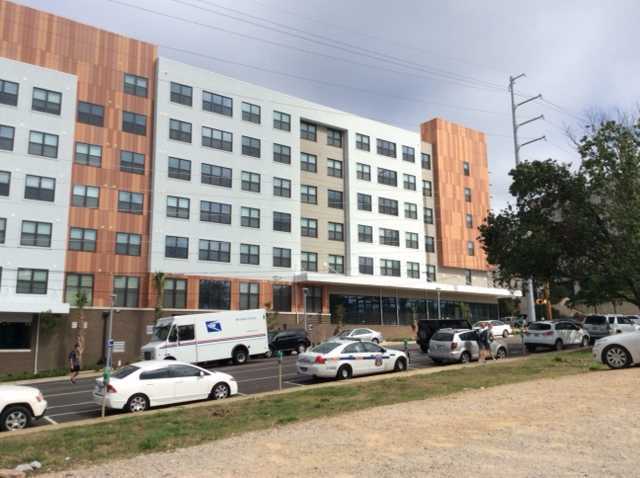 Assembly Street Project in Columbia, South Carolina consits of 228 apartment units, housing students from the University of South Carolina. DCG provided the foundations, retaining walls, columns, sheer walls, SOG, post tension structural decks and amenity deck. There is a total of 15,000 CY’s, 811 tons of rebar and 165,000 pounds of post tension cable in the 105,000 square feet of structural deck. Project commenced Winter of 2016 and Donley’s portion was completed in the Fall of 2017. Donley’s served as Construction Manager for the development of Notre Dame Village. The Village is a community of living and learning on the Sisters of Notre Dame Campus in western Geauga County, Ohio. The expansion offers independent and supportive residences for adults 65 years of age and older. 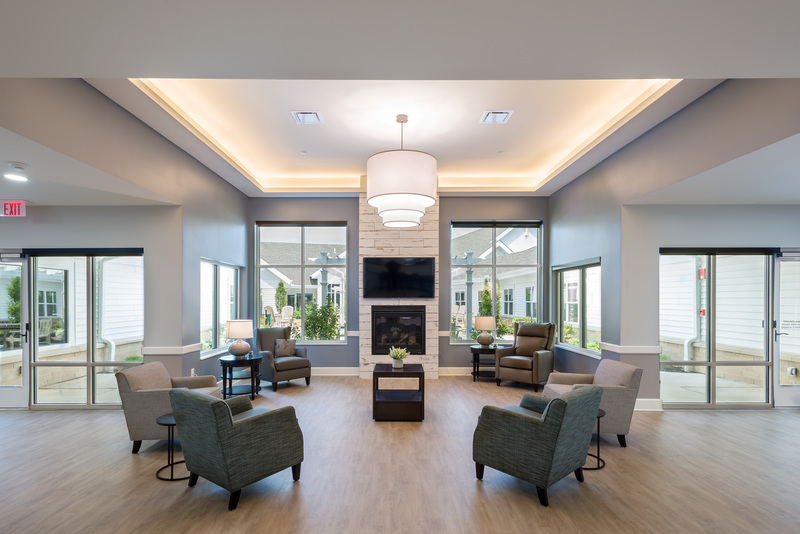 Residences include cottage homes, independent living apartments with services, and memory care assisted living. The project includes an 80-unit apartment complex for independent living with an underground parking garage, as well as a 36-unit memory care residence for individuals living with Alzheimer’s and other forms of dementia. Phase two consisted of the construction of 50 cottage homes, each 2,100 sq. ft. with a two car garage. Donley’s is serving as a concrete contractor in the development of the Pinecrest Building Complex in North East Ohio’s East Side. Scheduled to open in the spring of 2018, the finished project will be a sub-urban downtown, with a mix of retail, offices, luxury apartments and a hotel. 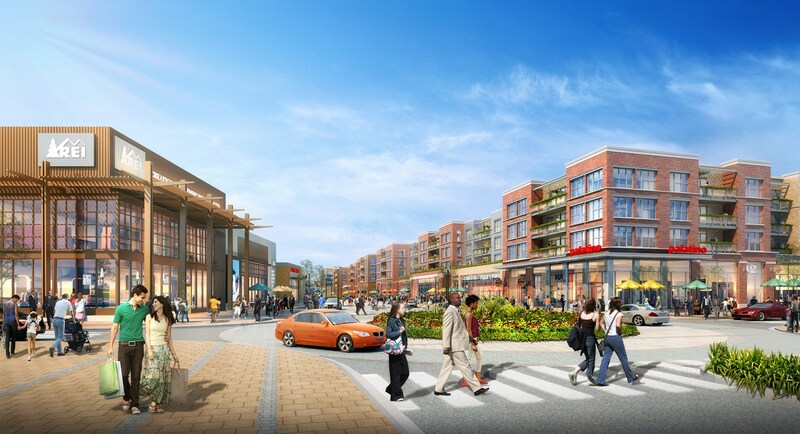 The 58 acre development site will have 400,000 square feet of retail space. Donley’s Concrete Group served as concrete contractor to Lend Lease on a three building expansion of Bishop Gadsden’s retirement community in Charleston, South Carolina. The new 4-story buildings will add 45 residential flats to the community. The Quay is the latest addition to the Bishop Gadsden Episcopal Retirement Community, a thriving continuing care retirement community, which offers apartment and cottage living, assisted living and healthcare. Bishop Gadsden is located just 10 minutes from downtown Charleston. Nationally recognized for its architectural design and community service commitment, Bishop Gadsden offers the amenities, support and freedom to a community of more than 450 residents. This 63,365 sq. 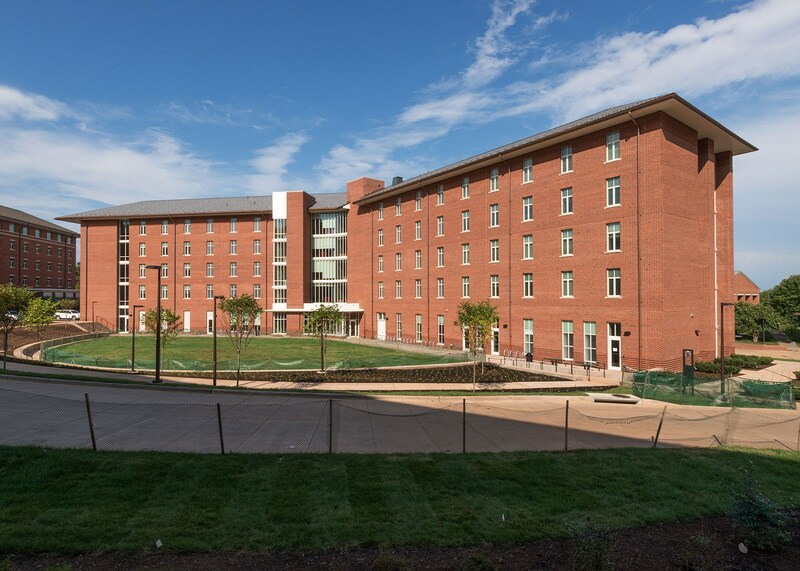 ft., five-story residence hall for first-year students offers modern amenities in a configuration that fosters intimate, secure, close-knit communities, creates a strong sense of place, and accommodates growing numbers of students. Two faculty apartments are also housed in the new facility. In addition to student rooms, study rooms, and lounges, the entry level floors is oriented to illuminate and animate gathering places housing a variety of program spaces for teaching, meeting, and recreation. The project also includes a 16,357 sq. 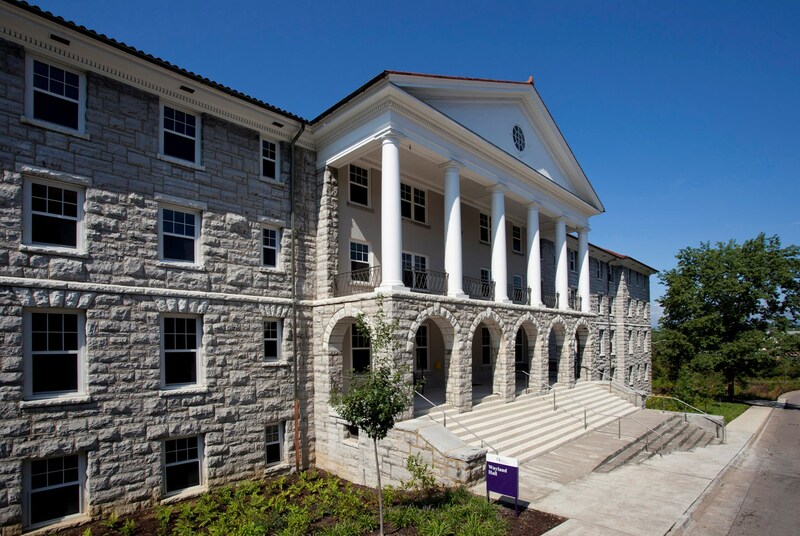 ft., two-story, triangular-shaped wing to accommodate the Housing & Residence Life Office.